Here are 4 Free Windows 8 Photo Editing Apps for those who are into making their photos beautiful by giving amazing photo effects. You can add unique effects to your photos and share them online with others via Email, Facebook, Twitter, etc. 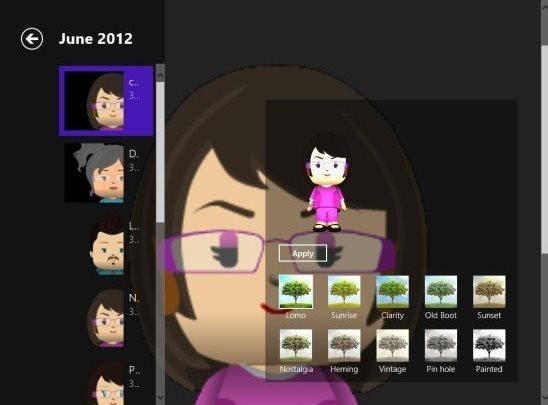 Formats such as .JPEG, .PNG, .GIF, and more are supported by the below given Windows 8 photo editor apps. Awesome Pictures is one the most popular photo editing apps available in the Windows 8 Store. Using this Windows 8 photo editor app, you can edit all your captured moments by using tools available with the app. You can give a personal touch to your images and customize it according to your ideas. Awesome Pictures brings you a hand-free editing where you wont find photo effects, rather you would require to use editing tools such as pencil, shapes, blur, vintage effects, add text, and more. 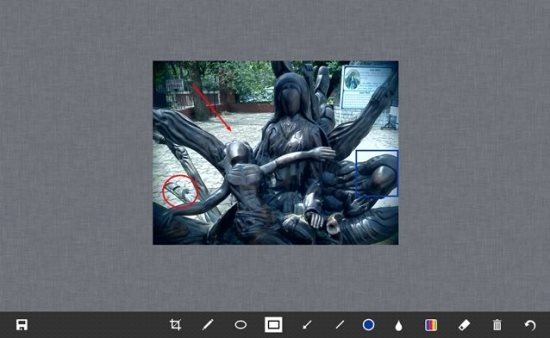 In addition, this Windows 8 photo editing app lets you annotate your pictures using circles, and arrows. It supports .PNG, .JPEG, .GIF formats to upload and edit pictures. You can either upload a picture from your local machine or just capture one using the Web-Cam, from within the app. Read more about Awesome Pictures or head over to the store and download instantly. FotoEditor is yet another popular Windows 8 photo editing app available under the ‘Photo’ category of Windows 8 store. Here, you will find more than 40 unique photo effects such as Distort, Artistic, Stylize, Crop, Morphology, and many more. All these effects have been further divided into amazing filters. It’s a very simple photo editor Windows 8 app where you can upload a photo from your PC else, just capture live from within the app (using Web-Cam). Even a non-professional photographer can edit photos very easily using this app. You can also share edited photos with your friends via social networking websites. 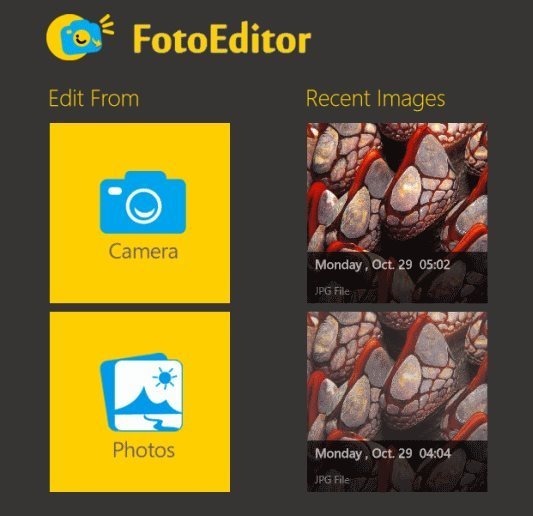 Read more about FotoEditor app or simply download it from the Windows 8 Store. Available under the ‘Photo’ category of Windows 8 store, Photo Monkey is an excellent Windows 8 photo editing app to edit photos by using amazing photo effects such as painted, vintage, black & white, and many more. You can easily preview an effect, then apply it (if liked) instantly. Once you are done with photo editing on Photo Monkey app, you can now save it your PC’s photo library or share it with others via Facebook, Twitter, or just send them personally via Email. You can read more about Photo Money or just give it trial by installing the app from the store. Ending my post with this last but of course not the least Windows 8 photo editing app available under the ‘Productivity’ app on the Windows 8 Store. Here, in this you can easily decorate your photos by adding annotations, draw objects, use pointers, arrows, circles, or add text, etc.. There are options to choose a source over which you would like to make modifications such as a blank virtual page, upload an image from your system’s library, or capture one instantly, using the integrated web-cam. 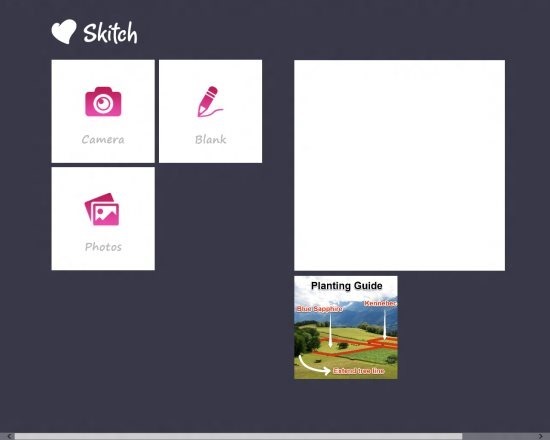 Read more about Skitch or simply get it from the Windows 8 store now.